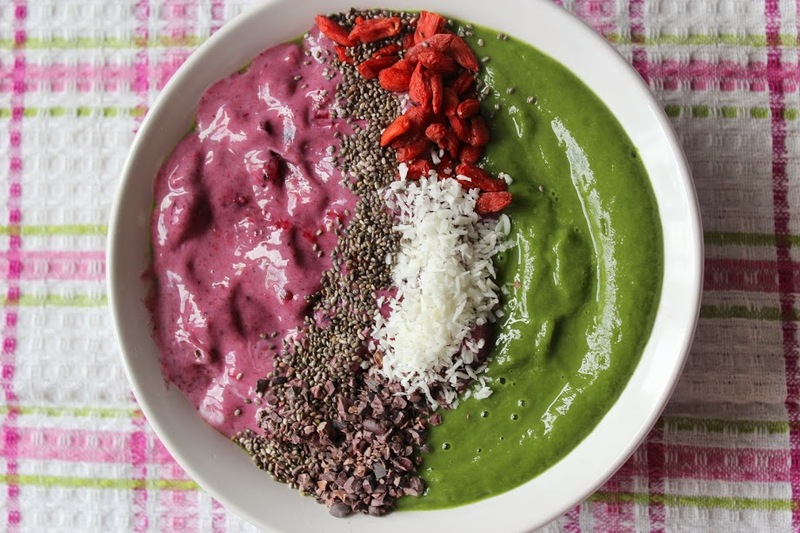 A bowl bursting with colour, goodness and vitality; that’s the principle behind the trend taking the health food world by storm, particularly on visual-based social media channels like Instagram and Pinterest. 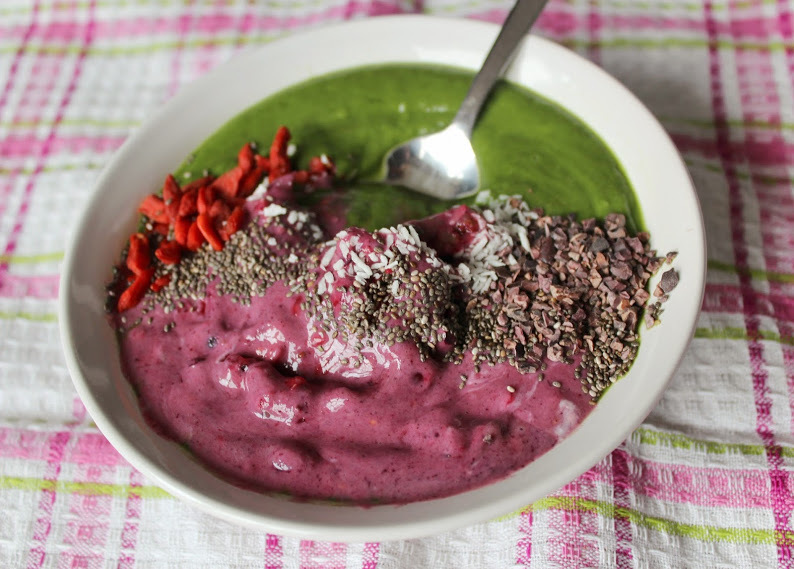 Smoothie bowls are about bringing together a whole range of nutrients from fruits, vegetables, superfoods and of course, serving them in a bowl decorated in a pretty fashion. This is actually my first attempt but it worked so well. I’m excited to share this combination of refreshing pineapple, avocado, spinach and spirulina alongside an acai berry based ‘ice cream’ and a colourful topping variety. Dairy-free, vegan and packed full of vitamins and minerals, this makes an ideal breakfast, snack or dessert when you want a burst of natural energy! 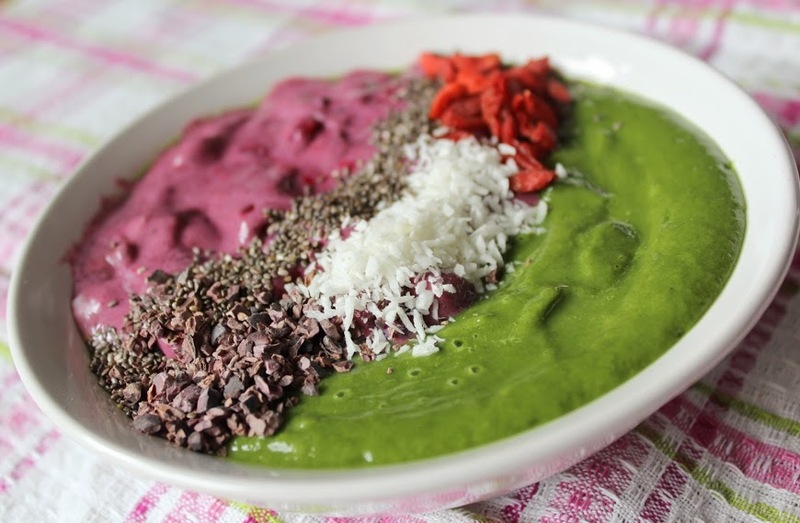 Simply place all of the ingredients in a high power blender and whizz up until smooth and slightly thick. 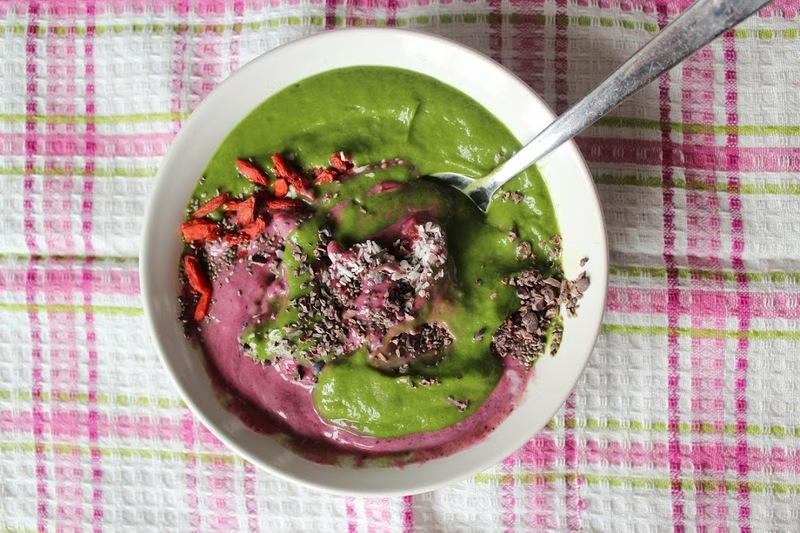 Pour this into a bowl and clean your blender as you’ll need it again! Remove the banana chunks from the freezer about 5-10 minutes beforehand, then place in your blender with the acai berry powder, yogurt, vanilla extract and frozen berries. Whizz up until smooth and quite thick, then spoon this on one side of your bowl and carefully spread it out. This is the fun part – sprinkle over your chosen toppings in whatever style or pattern you want (certainly worth getting a photo as they look so pretty!) 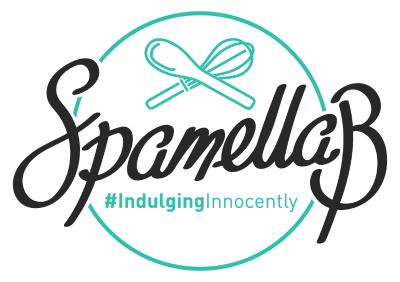 – now get #IndulgingInnocently!